"Over the 40 years, we have emancipated our minds, sought truth from facts, boldly tried and changed, and created a new situation," Xi said. The Communist Party of China has united and led the Chinese people to overcome difficulties and make great achievements in economic, political, cultural, social and ecological fields, as well as establish and improve the socialist market economy which has boosted economic and social development in an unprecedented way. A National Bureau of Statistics report published on Aug 27 said China's GDP rose from 367.9 billion yuan ($57.6 billion) in 1978 to 82.71 trillion yuan in 2017, an increase of 33.5 times at an average annual growth rate of 9.5 percent, far higher than the 2.9 percent average global growth rate. And its per capita GDP increased from 381 yuan to 59,660 yuan. In 1978, China accounted for only 1.08 percent of the world economy, but by 2017 that figure had risen to 15.3 percent, with its foreign reserves growing from $167 million to $3.14 trillion, the highest in the world. As for urbanization, China's urbanization rate for permanent residents has risen from 17.92 percent at the end of 1978 to 58.52 percent at the end of 2017. The past four decades have also seen the rapid development of China's basic industries, marked by the continuous strengthening of the agriculture sector and increasing industrial production capacity. 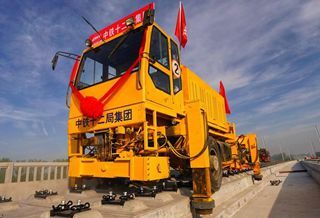 Remarkable achievements have been made in traffic and transportation, too, with the high-speed railway mileage covering 25,000 kilometers accounting for more than 60 percent of the world total. China's post and telecommunications industry has also developed by leaps and bounds. By the end of last year, China had 102.5 mobile phones for every 100 people, a total of 1.13 billion mobile broadband users and the world's largest mobile broadband network. China's foreign trade has expanded steadily, too, with its total import and export of goods reaching $4.1 trillion, an increase of 197.9 times over 1978 at an average annual growth rate of 14.5 percent, ranking first in the world. Also, Chinese people's living standards have continuously improved with the per capita disposable income reaching 25,974 yuan－an increase of 22.8 times over 1978 after taking into account price factors. And the per capita consumption expenditure reached 18,322 yuan, an 18-fold increase over 1978 in real terms. China has made remarkable, unprecedented achievements over the past 40 years because of the CPC leadership and its robust efforts to advance market-oriented reforms and further open up the economy to the outside world. The past four decades have shown the Chinese people were absolutely right to follow the socialist path, theory, system and culture with Chinese characteristics under the Party's leadership since the Third Plenary Session of the 11th CPC Central Committee in 1978, as Xi said. China's most precious experience in the 40 years of reform and opening-up is to consistently adhere to the CPC's leadership. As Xi said, "The 40 years of reform and opening-up have taught us that the leadership of the CPC is the most essential feature of socialism with Chinese characteristics and also its greatest advantage." Under the guidance of Marxism-Leninism, Mao Zedong Thought, Deng Xiaoping Theory, the "Three Represents", the Outlook on Scientific Development, and Xi Jinping Thought on Socialism with Chinese Characteristics for a New Era, the Party has constantly explored better governance, socialist construction and human development methods, come up with major theoretical innovations, solved many problems and met many challenges facing China's economic and social development, and laid a solid foundation for the development of the socialist market economy. Second, China has handled relatively well the relationship between the government and the market. In the process of reform and opening-up, by "crossing the river by feeling stones" the government has taken a series of measures to allow the market to play a greater role in resource allocation, inspiring market players to play a bigger role in economic growth, and improving resource allocation and economic efficiency. The government has also played the role of "night watchman" to correct "market failures" through improved and stricter macro-regulation. Third, the spirit of innovation at the grassroots level has received due respect. From reform that originated in rural areas to opening-up that began in earnest with the establishment of special economic zones, the main driving force has been the creativity of the people. The continuous exploration and innovation people have made based on their actual needs, and their popularization by the Party and government as State economic institutions and formulas, have provided institutional guarantees for the development of the socialist market economy. Fourth, the enthusiasm of the central and local governments for better development has been channeled into economic action. For instance, the central government has been decentralizing economic power while local governments have competed with each other to pursue GDP growth, which in turn has helped boost local economic development. The central government has also devised a strategy for the coordinated development of different regions, in order to promote balanced development and to narrow regional disparities. Fifth, reform and opening-up have always been interlinked. If domestic reform has constantly removed obstacles to economic and social development, opening-up has drawn foreign competitors, facilitating the optimum allocation of domestic resources. Thanks also to opening-up, China has integrated with the global industrial and value chains, and become a regional and global manufacturing powerhouse. On the other hand, regional and global competition patterns and rules have prompted expeditious deepening of domestic reforms, which has helped China build a unified, open, competitive and orderly market system that provides a favorable environment for global resource distribution and the global market. Marching ahead, China will continue to deepen reform, further open up its economy to the outside world with the overall goal of transitioning from a planned to a socialist market economic system. 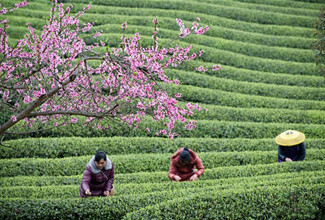 China will continue to unwaveringly promote market-oriented reform and build an open economic system based on the rule of law to reduce institutional costs and increase economic efficiency, as practices at home and abroad show that only by fully respecting market forces, implementing effective policies, and further liberalizing trade and investment can the country realize its economic and social development goals. But since China is a country of more than 1.3 billion people and faces all kinds of uncertainties and risks, the government's top priority should be to improve people's livelihoods and maintain social stability. Which means policies on economic reform and opening-up must always be prudent. Due to information asymmetry and uncertainties, decision-making errors cannot be fully avoided. So the government must be "tolerant" toward minor "mistakes" while furthering reform and opening-up, and respect the spirit of innovation and pioneering among the grassroots, because the past four decades show that only by adhering to such a spirit can we continuously propel economic development. The author is PhD in economics and research fellow at the international financial center under the Ministry of Finance.